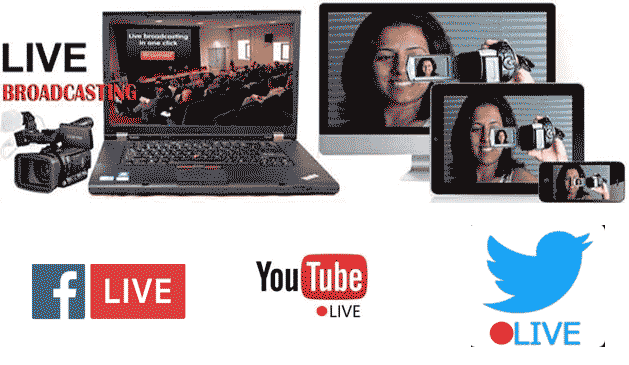 Broadcast your corporate webinars, town-hall meetings, annuals events, to increase the reach of your events. Drive more engagement to your event by Facebook live streaming and YouTube live streaming. Provide video-on-demand services to your audience and let them watch a previously broadcasted event. Real time video presentation, chat, online poll and reports. It provides an unprecedented opportunity for a business to engage with its audience. Live Streaming using a multitude of options, from broadcast software, hardware and even mobile based encoders. Afterwards, your live stream is auto archived for later use, and can be downloaded by you for editing or trimmed directly in the cloud. live streaming and branded video production all from completely integrated live video solution. Every aspect of event production from filming to custom web development. Monitor audience engagement using our proprietary analytic platform. A landing page-a web page whose sole purpose of existence is to entice people to take an action. If done well, it could be the most effective marketing weapon in your arsenal. Religious event, Spiritual webcast, Event streaming, Conference webcast, Wedding event live streaming, School/College annual function live streaming, Film and Bollywood event streaming, Political webcast, Sports event webcast and all type of event. Welcome to the entirely new world of LIVE Internet broadcasting and LIVE webcasting. LIVE broadcasting is a media file distribution over the Internet, using streaming media technology. Broadcast can be LIVE or recorded. Broadcast can also be distributed LIVE or recorded. 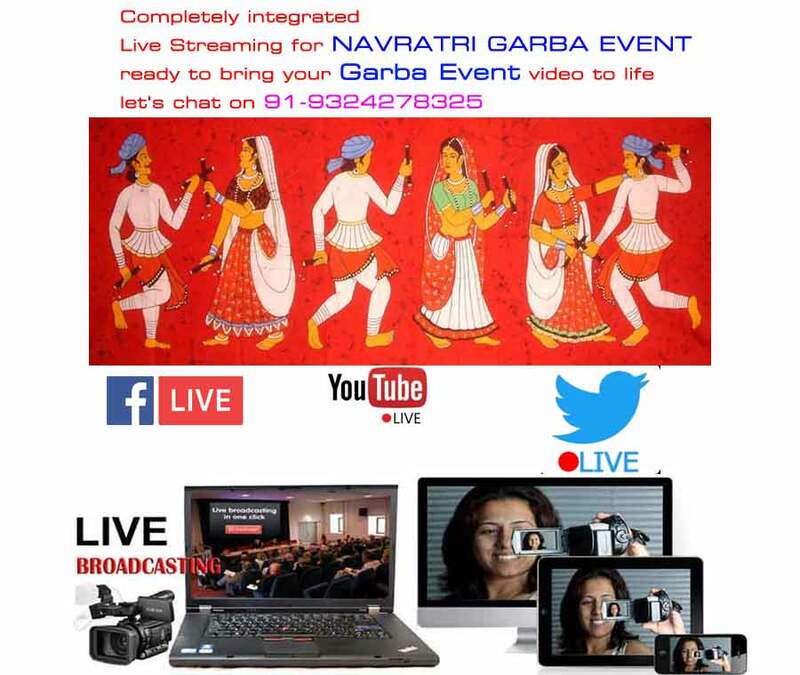 LIVE stream and LIVE broadcast your wonderful moments like corporate events, conferences, religious events like Navratri, Garba, Bhagvat Saptah, Shri Satyanarayan Katha & Parayan, Jain Religious Events, political parties live streaming, politics live streaming, wedding receptions, cast annual get to gather live streaming, birthdays, marriages, school/college Live Stream events, become a reporter, and there is no end to your imagination and all of it being shared by your loved ones across the world. With the advent of high end streaming media technology, the concept of doing live/on-demand webcast has gained popularity like never before. LIVE Broadcasting and Webcasting an event allows you to extend the reach of your event to all corners of the world, with no limitations of physical or geographical boundaries. 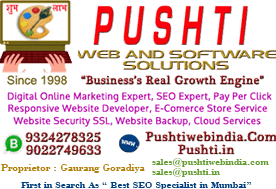 Pushti Web and Software Solutions offers you a full LIVE BROADCAST and webcast production service which include everything you need in order to produce your webcast in Mumbai, Ahmedabad or any location in India. We can provide you with full webcast production hardware an encoder and a remote kit with cameras and microphones and an experienced crew to make your event accessible online to your target audience. What’s involved in a Webcast? In simple terms, for a live webcast, we bring cameras, sound and webcasting transmission equipment to a venue where you are hosting an event, function or meeting that you want to transmit to an audience over the internet. We connect the equipment into that venue’s Internet connection. You publicise the webcast to your Intended audience in advance of the live broadcast. After transmission you can choose to have the webcast left on the Internet for a length of time so that people who were unable to view it live can watch it at their leisure. You may wish viewers to interact with a live webcast by submitting questions and comments via email or Instant Messaging back to the transmission location. The questions could be presented to the speakers appearing in the webcast to answer or comment, and the questions that viewers make can be displayed on the screens of all viewers allowing everyone to speak to everyone else. Can we include recorded material? In the recording we can easily insert pre-recorded material from Video tape or DVD that has been pre-prepared into the live feed, in the same way that Live broadcast TV does. This pre-recorded material can be relayed simultaneously to a big screen in the live venue allowing anyone at the venue to see the material at the same time as the Internet audience. This is ideal where a client is to present a corporate video or interviews with staff, clients or colleagues, adding value to a presentation. Live Webcasting is reliant upon the Upload speed of the Internet connection. Nearly all ADSL connections are described by their Download speed – typically 2, 4, or 8 Mbps. ADSL, by definition, means the upload speed is not the same as the download speed. Original ADSL (1Mbps lines) had a 512kbps upload speed. This is too low for reliable and good quality Video webcasting. Nearly all ADSL lines have been automatically upgraded however by Service Providers for clients at no extra charge. Often this means that ADSL starts at 2Mbps download and the upload often has been increased to 2Mbps. For reliable high quality video webcasting we would strongly recommend a minimum of 1Mbps upload speed connection. Live Streaming in Mumbai, Live Broadcasting in Mumbai, Live Webcast in Mumbai, Facebook Live streaming in Mumbai, Youtube Live stream in Mumbai, Temple Live Darshan, Wedding Event Live Broadcast on Internet, Live streaming for church, Corporate Webcast, Wedding Live Video Solutions. Start broadcasting today and let the world identify the star in you. 1. What are the minimum technical requirements for viewing Livestream content? 2. What is the minimum internet connection speed required for viewing Livestream content / How can I test my connection speed? - For a reliable viewing experience at medium quality we recommend a downstream connection speed of at least 700Kbps. - Viewers can select a higher (up to 2Mbps for HD) or lower (198Kbps for low) video quality on the player depending on the connection speed. - Viewers can test their connection speed by visiting http://www.speedtest.net, we recommend testing several times as bandwidth can fluctuate. 3. What is the maximum number of viewers who can watch my channel? We currently don't have any theoretical upper limit for the number of viewers on a Premium or Verified channel. The maximum number of concurrent viewers that we've observed on one channel has been in excess of 100,000.
ready to bring your video to life? let's chat on 91-9324278325 and schedule a complimentary consultation with us today!